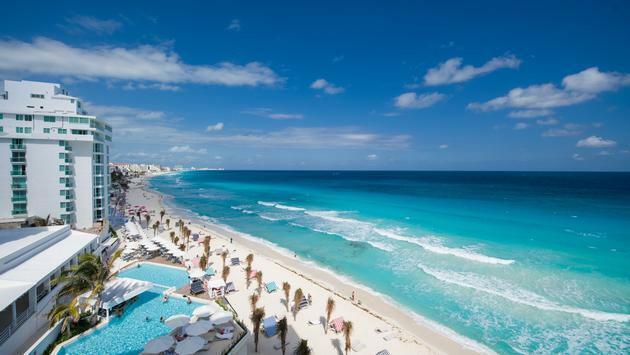 Change is a constant in the idyllic paradise known as the Mexican Caribbean, where developers are constantly seeking to wow both new and returning travelers with resorts that mix the best of Mexico with innovative options. The best part is, there really is something for everyone. So, what’s the latest? A lot of the buzz is going on just north of Cancun in the Costa Mujeres development. November will welcome RIU’s 24th all-inclusive hotel: the 670-room Riu Palace Costa Mujeres. A sophisticated product for affluent guests, it’s located next to the existing Riu Dunamar and will share that property’s fun Splash Water World waterpark that sits between the two properties. Palladium Hotel Group also has openings in November in that area: The family-friendly Grand Palladium Costa Mujeres Resort & Spa and the adjacent TRS Coral Hotel, made for adults only. The larger of the two, the Grand Palladium will have 673 rooms, while the TRS Coral will have 473 rooms for adults seeking a quieter escape. The resorts will share access to the Zentropia Palladium Spa & Wellness, among other facilities. Programmed to open by the end of the year, Estudio and Atelier Playa Mujeres are 5-plus star properties that will cater to families and adults, respectively. 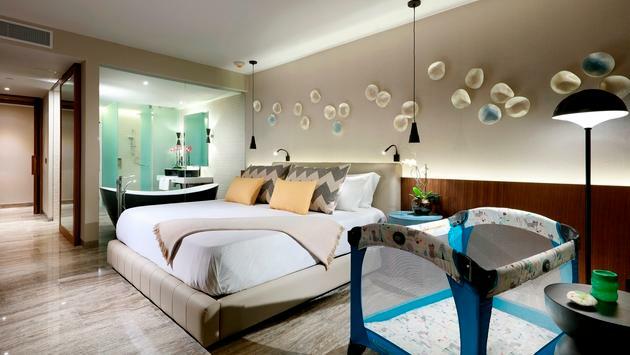 The smaller Estudio will have 171 suites while the larger Atelier will offer 422 suites for travelers 16 and older and is particularly attractive for couples. Both properties will share a three-story spa and wellness center and both will feature swim-out suites, with Atelier also offering golf suites. Right in the heart of the Cancun Hotel Zone and within easy access of nightlife, restaurants, and shopping, the Reflect Krystal Grand Cancun—a new brand shared between Grupo Hotelero Santa Fe and AMResorts—is set on an expansive stretch of white sand and offers 395 oversized, family-friendly accommodations. Looking for more exclusivity? One of the towers is dedicated solely to the Altitude Club, with its own private lounge and bar, Bali beds at the pool and beach, and access to the exclusive, adults-only infinity pool. Also, in the hotel zone: The Melody Maker, another new brand. It’s currently undergoing a metamorphosis that will be complete by the end of the year, though it’s currently open and—we checked—guests can see little if any of the work being done. This high-energy, high-voltage property has been described as bringing “Las Vegas” to Cancun, and we know that what happens in Vegas—expect great food, great music, and great entertainment, as well as sleek, modern rooms and suites with spectacular views. Due south in Puerto Morelos, the Haven Riviera Cancun is a luxurious, all-inclusive, adults-only getaway located just 15 minutes from the Cancun International Airport. This swanky property has 333 contemporary suites and a brilliant white silhouette reminiscent of Spain’s Mediterranean architecture. It features 88 expansive swim-out suites and was built just off the beach, giving most of the suites an ocean view, unlike many resorts along the Riviera Maya that tend to be built far back from the shoreline. Want something more intimate? Tucked away in the jungle a little farther south on Punta Maroma, the exquisite new Chablé Maroma Riviera Maya has just 70 guest rooms each with a private pool, retractable glass walls, indoor-outdoor rain shower, and more, plus a 17,000-square-foot spa. The best part? 650 feet of private beach sprinkled with private cabanas. The operative word in this resort: private. Lydia Gregory is a freelance travel writer and translator with over 25 years’ worth of writing experience under her belt. Her background includes a stint on Puerto Rican television and the mastheads of an eclectic collection of Spanish- and English-language consumer and trade publicationsthough her one true love is putting frequent flyer miles on her laptop and sharing her experiences with her readers.